I never thought the lecture itself would be an emotional experience. Perhaps I should have expected it since I knew that music was involved. The first thing that brought tears was Jane Pauley’s singing of “The Way We Were.” When she appeared on stage on Monday, Roger had said she was going to sing today, but she denied it. Apparently, she was having second thoughts knowing that the audience would no doubt have some talented musicians among them. The lyrics were written by Marilyn and Alan Bergman. She was ill and couldn’t be there, but her husband was a delightful person, and their relationship was itself a touching story. He sang parts of a number of their songs and explained how they came to be. The last portion of the “lecture” Bergman sat on a stool beside the piano and sang to of his songs. The last one was one that he and his wife and written for each other. When it ended, even the moderator said that was a fitting end and did not ask for Q&A, a unique occurrence indeed. I noticed a man to my right on the row in front of him wiping his eyes. The woman next to me saw me wiping my eyes. The man directly in front of her had turned around and noticed my tears. I then told the woman next to me that I was especially emotional because my wife has Alzheimer’s and this is our last trip to Chautauqua. She told me her husband died of Alzheimer’s. She wished me well. I gave her a hug. Then Kate and I reflected on the beautiful morning we had had. Yesterday was a good day. I had to strongly encourage Kate to attend morning worship, but she loved the preacher as she had on Sunday. If she had been able to remember hearing him, she would have been eager to go. One of the good reasons to attend the worship service is to assure ourselves of a good seat for the main lecture of the day. At the end of worship, Kate wanted to use the restroom. I took her there and waited outside the door for her. Then we walked back to the seating. I always walk ahead of her. She likes me to do this because she doesn’t know which way to go. When we got to our row, I walked in to our seats. When I looked back, Kate was not behind me. I looked closer to the front and saw her walk into the first row. She was about to take a seat when I called to her. She didn’t see me at first but finally did and came to sit down with me. One of the symptoms she has had for several years has worsened. That is her eyesight. I don’t mean to say that there is something wrong with her eyes although she is in the early stage of her cataract development. 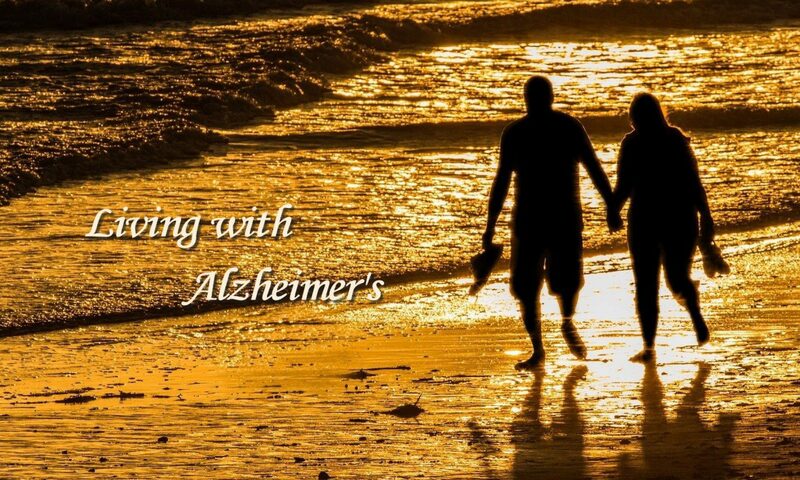 I am confident from what I have learned about Alzheimer’s is that it is part of the dysfunctional patterns of the brain. She frequently doesn’t see things that are right in front of her. When I point to something I want her to see, it takes her a while to focus on that particular thing. Often she never sees what I was pointing out. I think what is happening now is that she loses sight of me as she is following. For quite sometime, I have looked back periodically to see if she is still right behind me. I was doing so as we went back to our seat; however, it only takes a moment of distraction on her part to lose me. Greg Boyle did another outstanding job presenting a sermon consisting mostly of stories of his life working with gang members to make their lives better and more productive. His stories are quite moving, and, at certain moments, he seemed moved by them as well. Kate was quite moved. I take this as a good thing as it was for me. We went back to Hurlbut Methodist for lunch as we did on Monday. We got into a lengthy conversation with a woman from Ontario. She is a regular here. It was another good Chautauqua experience. Kate was ready for a little rest after lunch and told me she would rather remain in the room than attend Bishop Spong’s lecture. I went and enjoyed it. Then I came back to see if Kate would like to attend a 3:30 lecture by a man who performs as Teddy Roosevelt. She did, and we went back to the Hall of Philosophy for that. We both enjoyed it, especially Kate. When I got back to the apartment, Kate was asleep with her clothes on. I think she was worn out from the day’s activities. She got up while I took a shower and prepared for bed. Then she undressed and came to bed as well. At 5:45 this morning, I awoke and looked at the time. Kate then asked, “Why are we here?” I answered, “We are at Chautauqua.” She didn’t say anything else. I believe she was really awake but confused about where she was. That has occurred a number of times while we are traveling. Typically, she will say something like this. “I want to take a shower in our bathroom.” That is not said as a wish but that she believes our bathroom is right here someplace. I have to say there are times during the night when she talks in her dreams. This could have been one of those occasions, but I don’t think so. Good news. She got up and dressed and came out on the porch with me to eat the muffin had had gotten for her. She was in good humor and appeared rested. We are going to the morning worship. Kate continued to rest for quite a while this afternoon. I thought she was just tired. That was correct, but she had another problem with diarrhea. This time the sheets and pad on the bed were soiled. I rinsed them with a little soap and water in the bathroom sink. I felt I also needed to machine wash them. I went to the laundromat to see if it was open today and found that it was and how much it costs for the soap, the washer, and the drier. I came back to the apartment. By this time I had received a call from Jesse who was trying to coordinate on my getting her 2 tickets to Hawaii using my frequent flyer miles. When we finished our conversation, she was to text me on the exact flight information so that I could make the reservations. I decided to take the bed linens to the laundromat while waiting for Jesse’s text. When I got there, I found it was closed. It looks like we will spend the night on the bed without bed linens. We do have a comforter. In the morning I will see that I get them washed and dried. When I came back to Kate, she was hungry. I took her to get a sandwich. She ate about two-thirds of it and then started working on her iPad. By this time it was close to 5:25. Thinking that the evening vespers with our preacher of the week started at 5:30, I asked if she would like to go. She wasn’t very enthusiastic, but she said she would. As we walked over to the Hall of Philosophy where it is held, we saw people walking back our way. I asked if they were coming from vespers. They were; so we turned around and headed back to the apartment. We heard the organ in the amphitheater and saw that the Chautauqua organist was giving a demonstration to a group of children and their parents. We stopped and listened. Then we started back to the apartment once again. Now I felt hungry. We went to the Brick Walk Café where I got a salad. Kate was not at all perky walking toward the Hall of Philosophy or walking back for my dinner or while I was eating. I finished my salad, and we came back to the apartment. She had gotten hot sitting outside at the café. I was pleased to find that it was cooler on our porch, and there was a gentle breeze. Kate started to sit down and then felt she just had to go inside where it is air conditioned. I stayed on the porch. It has been about 45 minutes. I am going to check on her and remind her of the sacred music concert that she had told me she wanted to attend. I think she will enjoy it if she goes, but I am not sure she will go. This is a continuation of the post I started before lunch. As I was saying, Kate was ready to go and then went back to the bedroom and got into bed. I went in to see if she wanted to rest a little more. She indicated that she did. Once again, she wasn’t in bed too long. We went to lunch. The line at the regular register was so long that we went to the “Grab and Go” line where Kate got a slice of pepperoni pizza. I got the strawberry and walnut salad. After paying I looked around and Kate had disappeared. I looked in several places and finally found her sitting at a table with the same couple we sat with last night. Kate was not as talkative today. When we finished eating, Kate asked me where the nearest restroom was. I showed her. It turned out that she is having a problem with diarrhea. When she came out, she was quite hot. We came back to the room where she took off her clothes and got into bed. I gave her an anti-diarrheal medication. That was a little over an hour ago. She is still in bed. She seems to be quite tired, but she and I both enjoyed the morning worship service. I am now hoping he will want to go to the evening sacred song service. I don’t want to leave her alone. The good news is that we are close enough that I could sit on our porch where I am listening to a concert performed by one of the military bands. Of course, I would rather be in the audience, but this would be the next best thing. I am beginning to think about the possibility of coming back here for the last week in August. I think Kate would be up to it. I am certain that next year is out. We just returned to our apartment following the Sunday worship service. It reminds me of why we like it here. Tom Becker, the president of Chautauqua, gave his opening welcome and statement about Chautauqua. I told Kate that it could have been the sermon of the day. Kate indicated she would like a copy of his remarks. I had already been thinking about getting a copy. I suspect they will be printed in the Chautauquan Daily tomorrow. In a short presentation he captured everything that draws us here. I hate to think this will be our last visit. I have even begun to think about the possibility of coming back for the last week if we could get a room. The service was capped by a beautiful sermon by our preacher of the week, Father Greg Boyle. We arrived at Chautauqua yesterday afternoon around 3:00 p.m. We are staying in a new place this year, the Rose Cottage. It is a bit small but works well for us. The location couldn’t be better. We’re about 75 yards from the Amp (Amphitheater) and directly across the street from the Brick Walk Café where I get my coffee each morning along with muffins for both of us. At dinner at the Brick Walk Café, Kate approached a couple at a table and asked if we could join them. Naturally, they accepted. It turned out to be a great Chautauqua experience. They are very interesting people from New Hampshire. This is their first time here. The husband has had a strong interest in Thomas Edison since he was six. They are here because Edison was married to one of the founders of Chautauqua. His wife is a musician. She taught music in the school system and also plays the piano, organ, and harp. Our entertainment last night was The Temptations and The Four Tops, both Motown groups from the 50s and 60s. Kate really enjoyed herself despite being hot and the music loud. I believe she is so into performances that these things didn’t matter. We’ve encountered no problems so far. I have told two of our neighbors and he owners of the Rose Cottage about Kate so that they will be attentive if they observe anything unusual. Saturday morning, Kate and I made our customary trip to Panera where Kate got her blueberry muffin. We were there about an hour before we decided to eat lunch there as well. During lunch, I looked for a movie and found a movie called Me Before You. It hadn’t gotten rave reviews from the critics, but most audience reviewers liked it. We decided to try it. We came home and had a little time for Kate to rest a little. Before 6:00 we went out for pizza. It was just a simple day, but we both commented on what a nice day it had been. Yesterday was a little fuller. Kate slept later than usual, and I simply relaxed listening to sacred music, checking email, posting a father’s day note about my dad, and reading the paper. The big event was a trip to visit Ellen and our friends the Davises in Nashville. We reached Ellen’s place about 1:00 and stayed until 3:30. It was a very good visit. In the past, Kate has felt that other people tend to look at me more than at her. I think this occurred yesterday, but I found myself looking at Kate when Ellen would look at me. I think this helped. A couple of times I asked Kate if she would like to tell Ellen something about our trip to Lubbock or something else. In each instance, Kate said, “No, why don’t you tell her.” This has not happened much in the past. I couldn’t help thinking that it represents her awareness that she can’t remember enough to put herself in a spot like that. I don’t think Ellen thought a thing about it. It was done very naturally. Kate and Ellen had an interesting exchange that didn’t go very far, but I thought it was going to be a little like the conversation that might occur in a support group. Ellen expressed her frustration over not being able to get her brain to come with the right words to say when she is talking. Kate said she had similar problems. They said just a few things back and forth and then moved on. On future visits, I may attempt to encourage this kind of conversation. This was the first time we had seen Ellen since she had her seizure a month ago. I thought that her speech had worsened since then. On the other hand, I thought her walking had improved. She walked across the room quickly and showed no sign of imbalance. She said she is now using a cane instead of her walker. From Ellen’s we went to visit Ann and Jeff Davis. Then we went out to eat together. During dinner, Ann and Kate talked to each other quite a bit. That gave Jeff and me time to talk ourselves. I told him that I was happy to see Kate have this time with Ann. We went back to their house after dinner and remained there for about an hour. Once again, there was plenty of time for Kate and Ann to talk. On the way home, Kate commented on what a good visit it had been with both Ellen as well as Ann and Jeff. I wholeheartedly agree. It was a tonic for Kate. Today we met Evelyn, our decorator, at a tile shop where we picked out the tile and granite counter top for our master bath. Kate told me in advance that she would let me handle things. I told her I wanted to make sure we picked out things that she would like as well. When we got into looking at options and talking about the details, Kate walked around. This is something that she would have been leading if this were ten years ago. Now she seemed as though she were not interested. On the other hand, she did express pleasure on the things we picked out. Tomorrow morning we are meeting Evelyn to pick out the toilet, sinks, and fixtures. Kate did say she would like to go. I am glad, but I suspect that she will not have much to offer. Perhaps I will be wrong. Since Kate still wants to be very private about her AD, I have to be careful with phone calls. I have to plan carefully to make them while Kate is working outside or resting. I would probably call more people if I didn’t have to be so careful. Like some other things I have mentioned, it will be easier for me later on; however, that will be because Kate is worse. I don’t like the tradeoff.